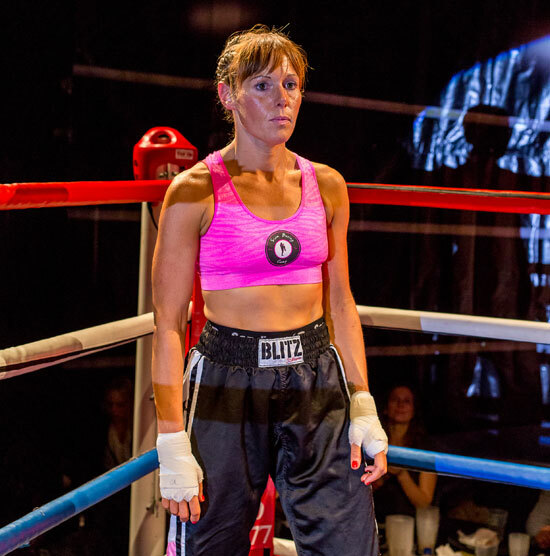 Sarah Hallworth met her life partner and now her business partner of their jointly-owned fight camp - the Siam Boxing Camp. Siam was launched in 2015 as a Community Interest Company and it was the best leap of faith she ever took. Everything starts with a vision. Sarah lives by the thought, 'Believe in yourself and what you are capable of'. Sarah has always been into sport, ever since she was a young child and way before 'hyperactivity' within children became fashionable. Her parents put her in sports clubs to 'channel her energy positively'. She fell upon a fight club in Hastings through a mutual friend who told her to go with her. At the time, Sarah was struggling to fit in the sport she loved doing and the thought of trying to fit another 'new' sport in filled her with dread. Predictably enough, she absolutely loved it and soon enough couldn't get enough of it. She was an absolute novice, however within six months of joining had her first fight competition. Sarah has nursed a long-term back injury that almost had her on the operating table last September, however she defied all the odds, believed that she would get her body to where she wanted it to be and slowly but surely put herself back onto the strong road of recovery.